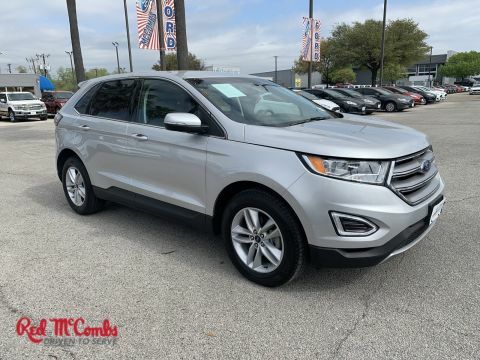 Trustworthy and worry-free, this certified Used 2015 Ford Edge SEL lets you cart everyone and everything you need in one vehicle. This Ford Edge comes equipped with these options: Wireless Phone Connectivity, Wheels: 18 Aluminum Painted Sparkle Silver -inc: Split-spoke, Vinyl Door Trim Insert, Unique Cloth Bucket Seats -inc: 10-way power drivers seat (fore/aft/recline/lumbar/up-down/tilt), Trip Computer, Transmission: 6-Speed Automatic -inc: paddle shifters, Transmission w/Driver Selectable Mode, Tires: P245/60R18 AS BSW, Tire Specific Low Tire Pressure Warning, and Tailgate/Rear Door Lock Included w/Power Door Locks. 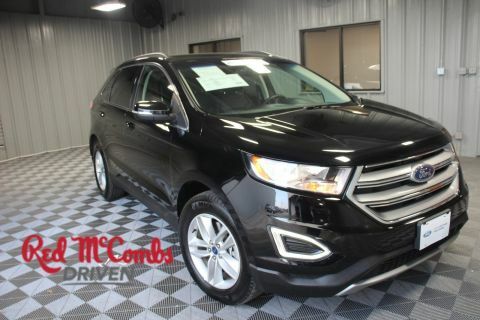 Transport everyone in luxurious comfort in this tried-and-true Ford Edge. Stop by Red McCombs Superior Hyundai located at 4800 Nw Loop 410, San Antonio, TX 78229 for a quick visit and a hassle-free deal!